Fiocchi entered into the 22 rimfire market in 2006 and has seen increasing popularity. 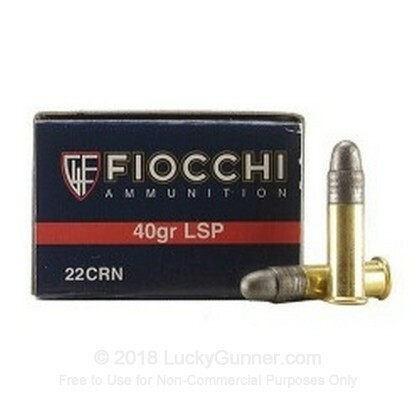 Great for plinking or target practic, Fiocchi's Round Nose loads create a pleasant shooting experience for young shooters. This ammo will help you improve your shooting skills on a budget. The bullets are too big! The bullet does't want to slide to the barrel at all. 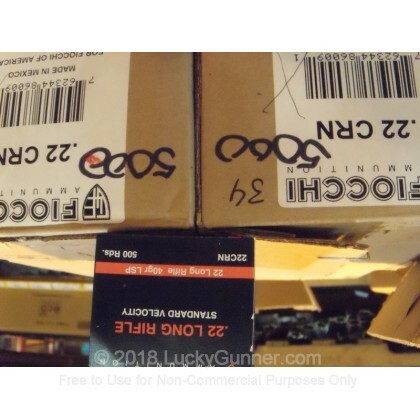 If you have a semi auto don't use this ammo! When the rifle trys to ejects the old casing, it's just stuck all the way because it was a tiny bit too big for comfort. You need a screwdriver to get it out. Maybe I had a bad box. I tryed cci's and they slid to the chamber correctly and would ejected correctly..